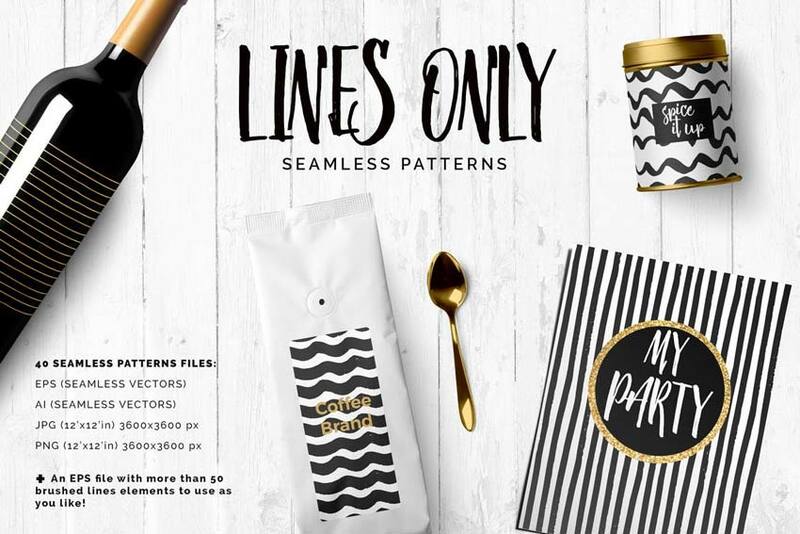 Line patterns feature minimalist designs that give your work that crisp, professional edge. 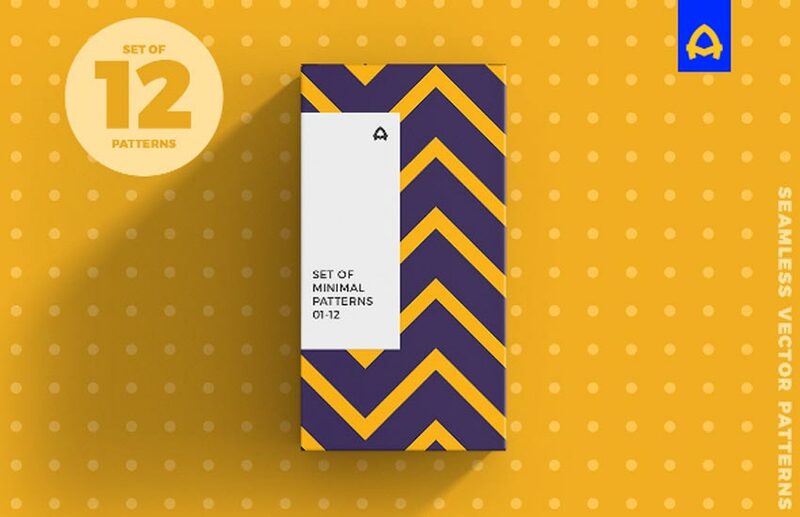 That’s why we’re bringing you this beautiful collection of over 40 high-quality line patterns from Envato Market and Envato Elements. 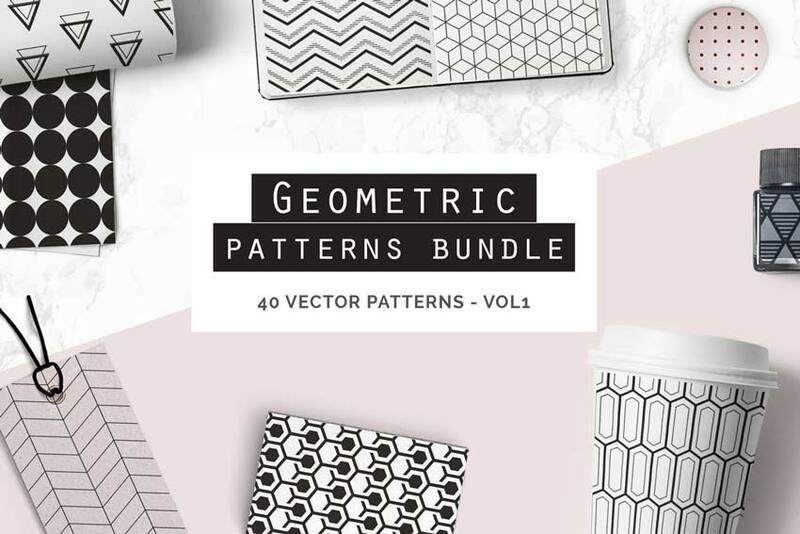 Let’s start with this beautiful pack of seamless geometric patterns. 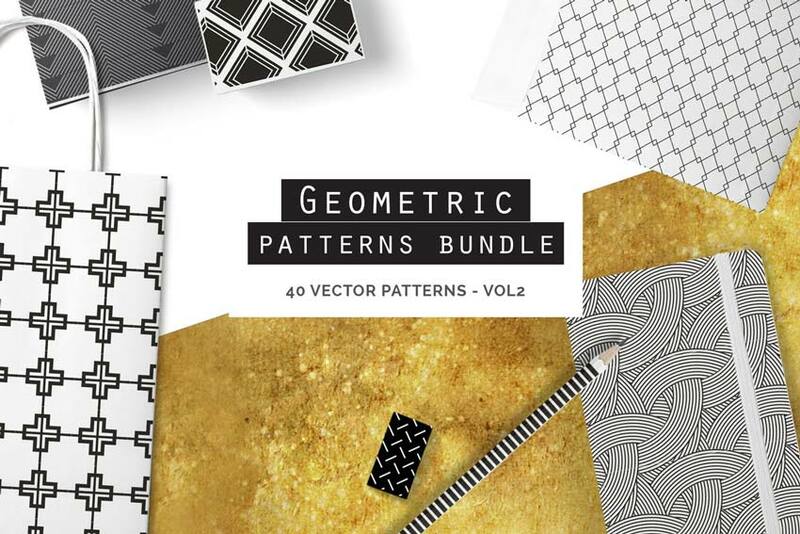 This exceptional bundle includes 40 vector patterns you can use for a variety of designs. 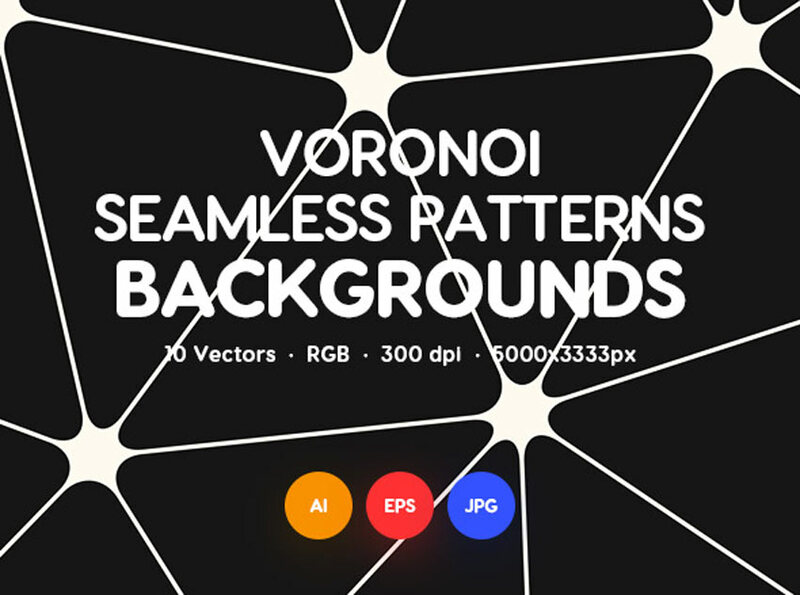 Try them out as clever app backgrounds, or use them for a beautiful t-shirt graphic. They’re great for crafting too! 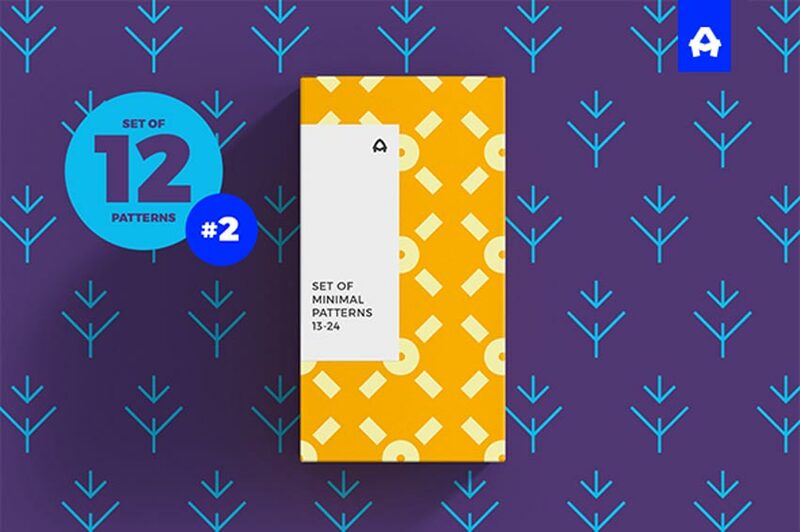 It’s essential that patterns you download can be used as a tile in many situations. 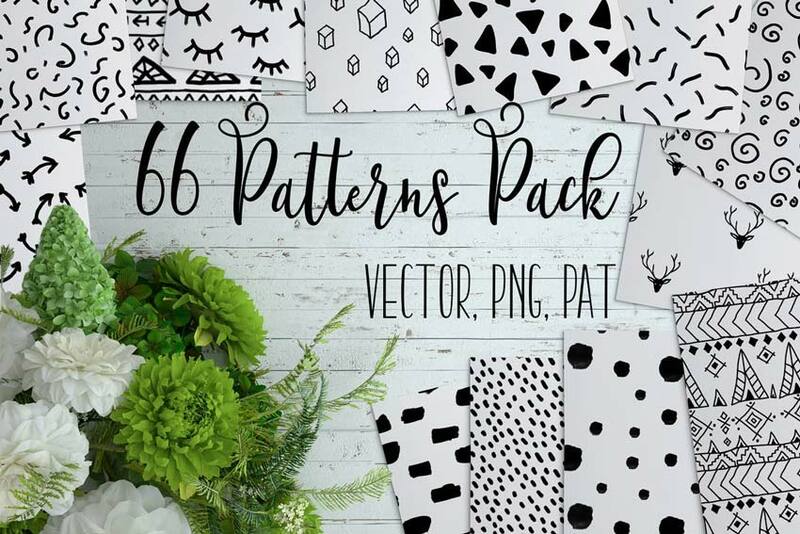 This pack of vector line patterns allows you to do just that with six interesting patterns like scales and more. Follow the step-by-step tutorial to see how to apply them to your work. 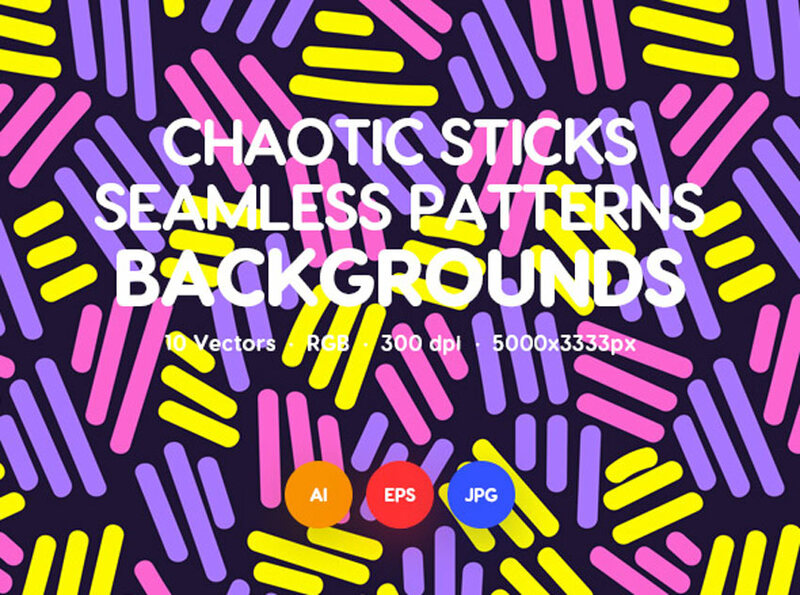 Doodles can add that creative, casual flair to your work. 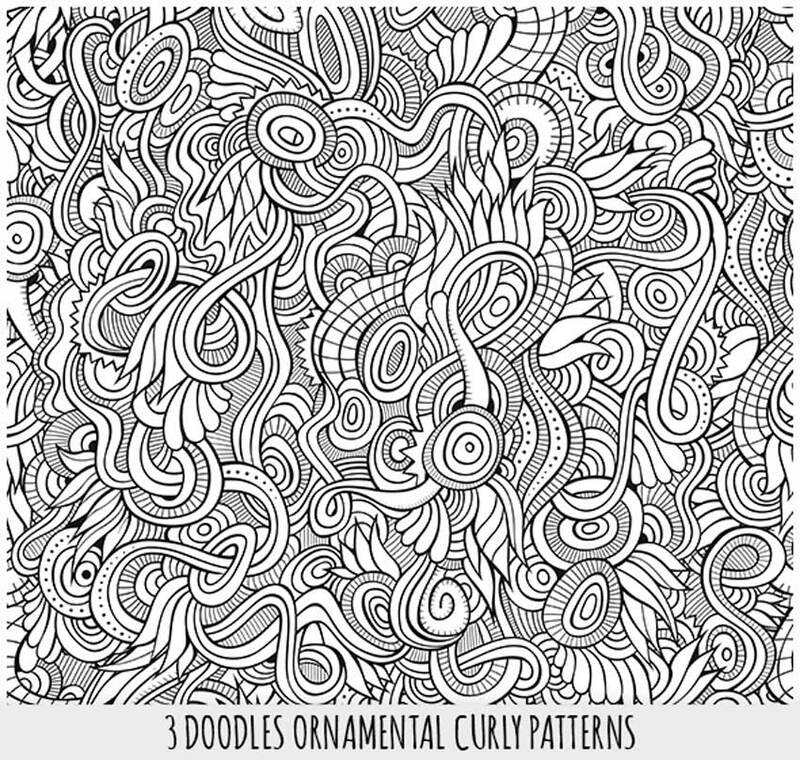 So if you’d like that effect then check out this cool pack of doodle line patterns. 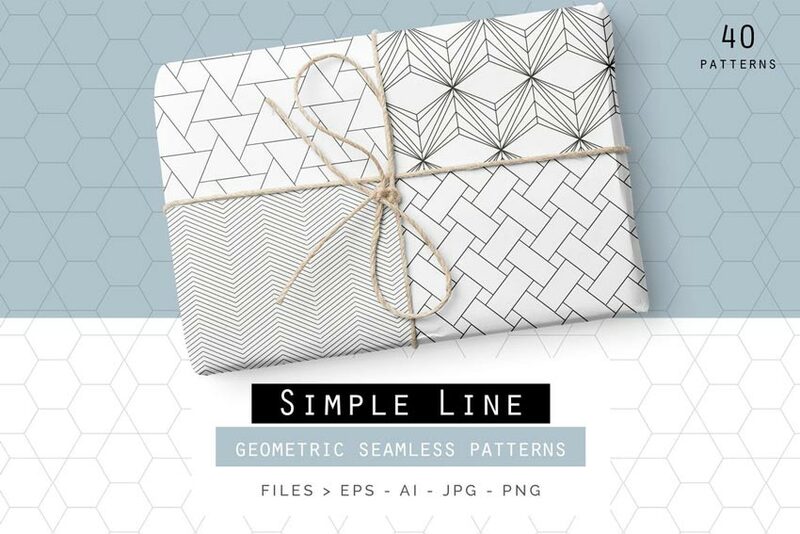 Featuring eight handmade line patterns, this download comes with eight PNG files you can use almost anywhere. 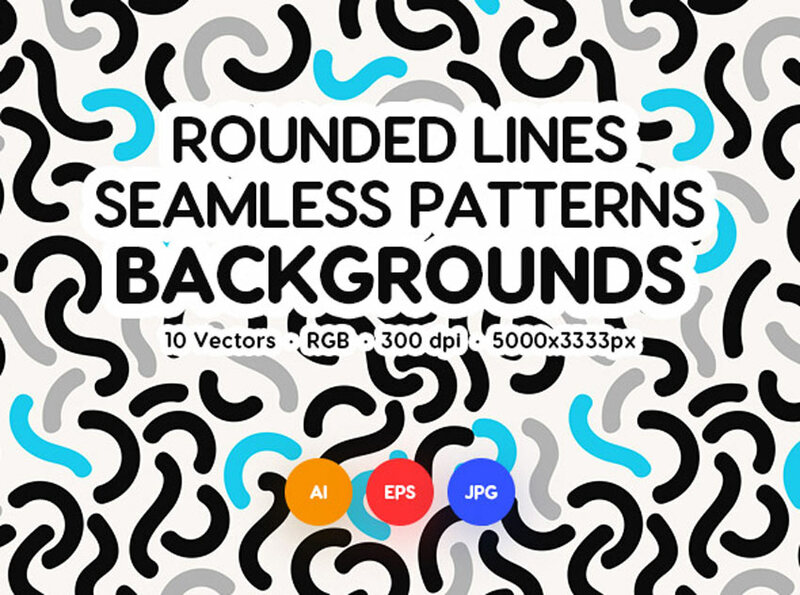 Create an endless graphic wave with these seamless wave patterns. 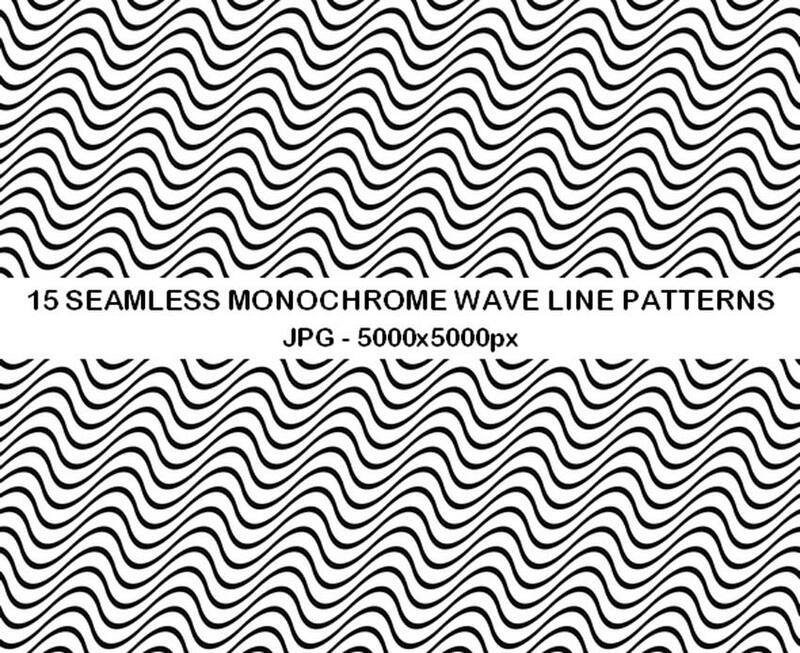 Featuring a clean, monochrome look, these waves were made with precision and almost look as if they’re moving. 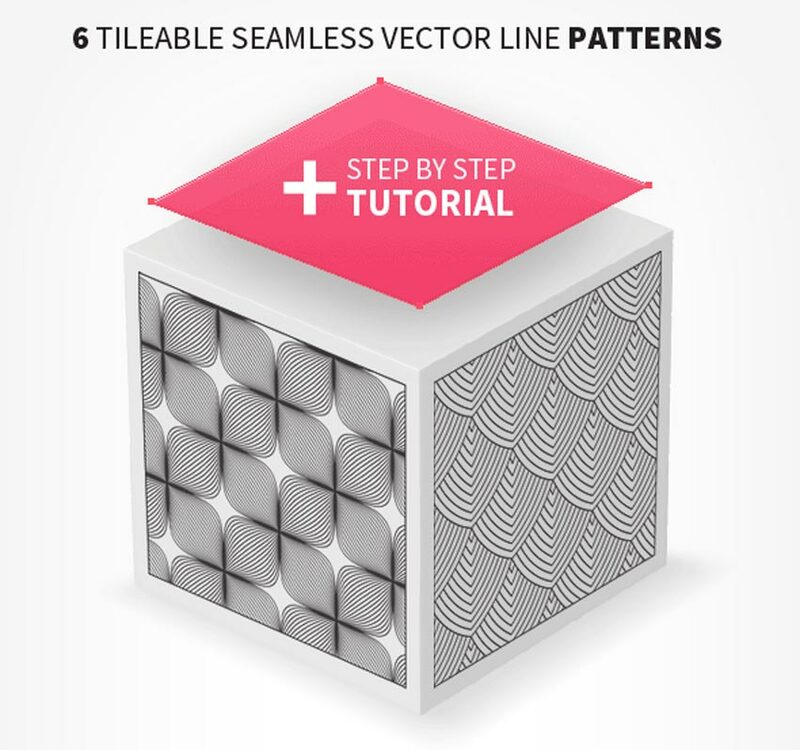 Get that optical illusion effect to apply to packaging, backgrounds, and more. 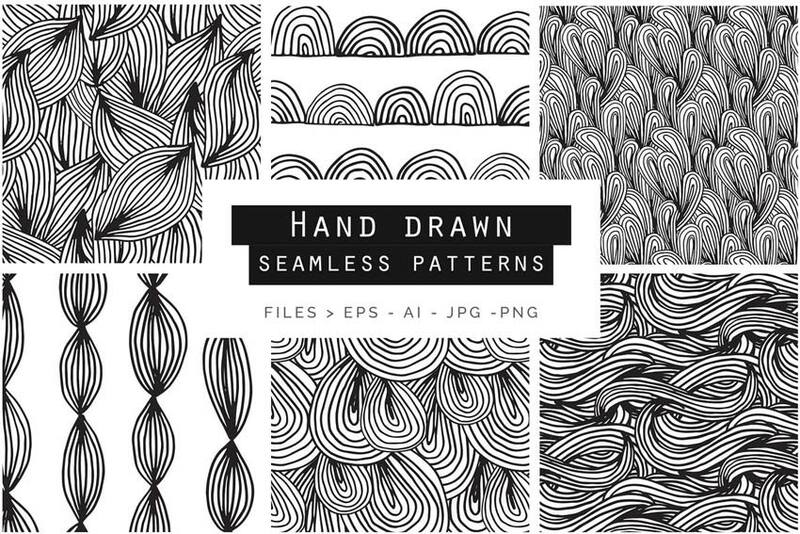 This next pack of hand-drawn doodles features cleanly made designs that are truly unique. 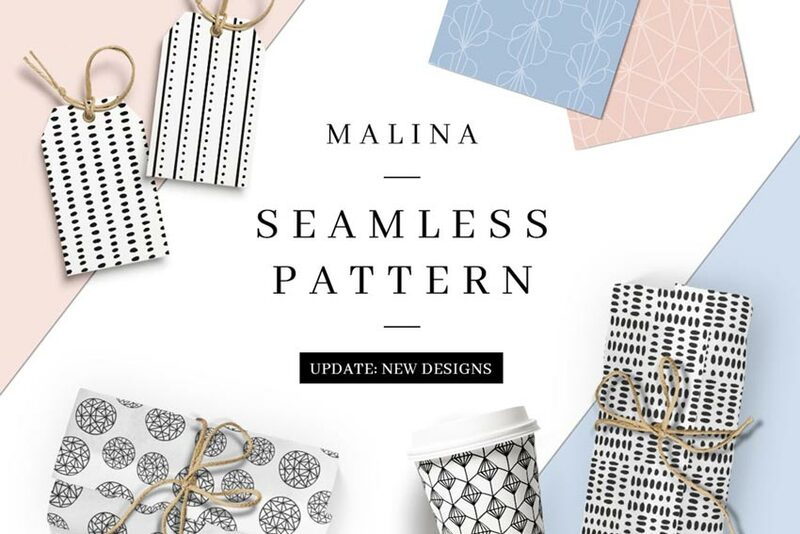 Each pattern is edgy and fun, making it the ultimate pattern for craft projects, business cards, and invitations. 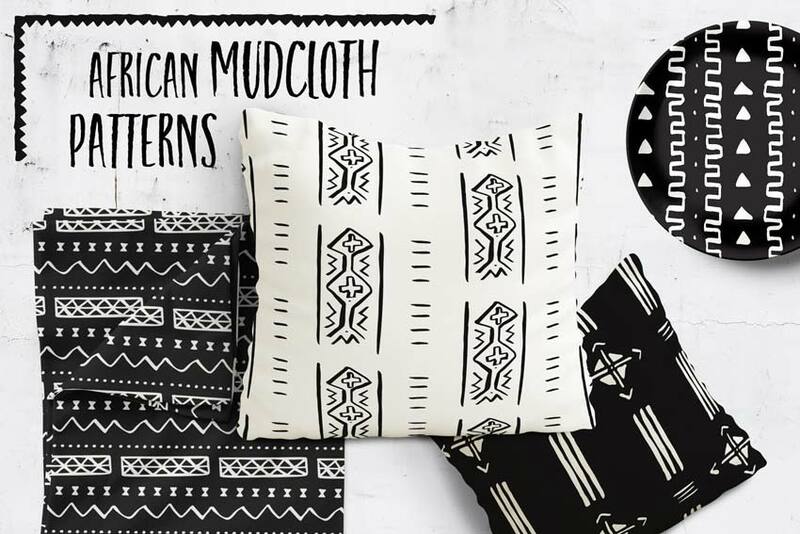 They’re also easy to customize with the help of Adobe Illustrator. Taking the time to illustrate patterns by hand will always pay off in the long run. 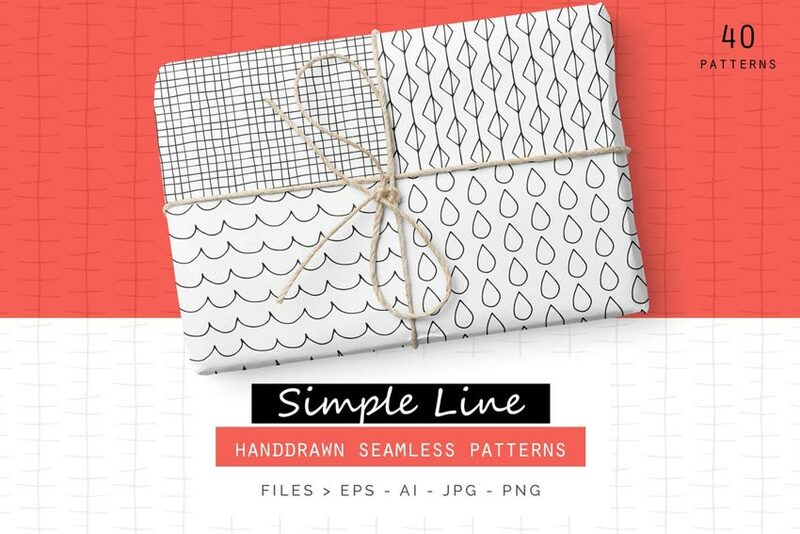 But you won’t have to do all that work with this next set of hand-drawn line patterns. 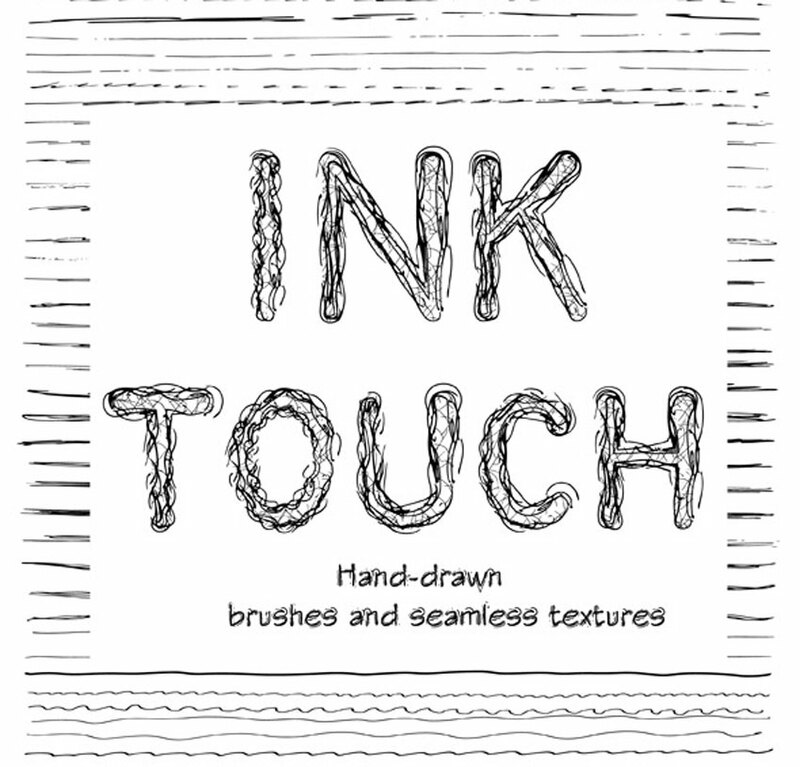 Featuring several flavors and variations to choose from, this pack gives your work that natural, imperfect look. 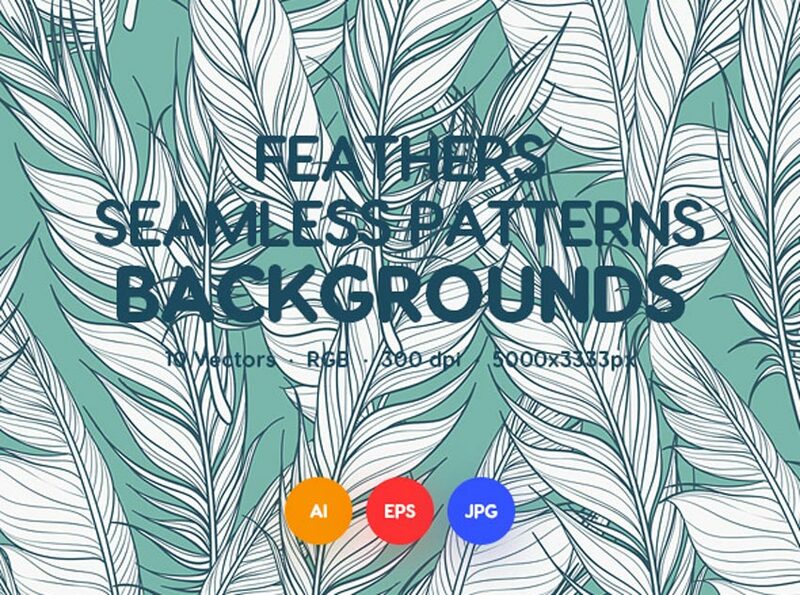 If you’re a fan of geology then you’ll definitely love this next pack of seamless patterns. 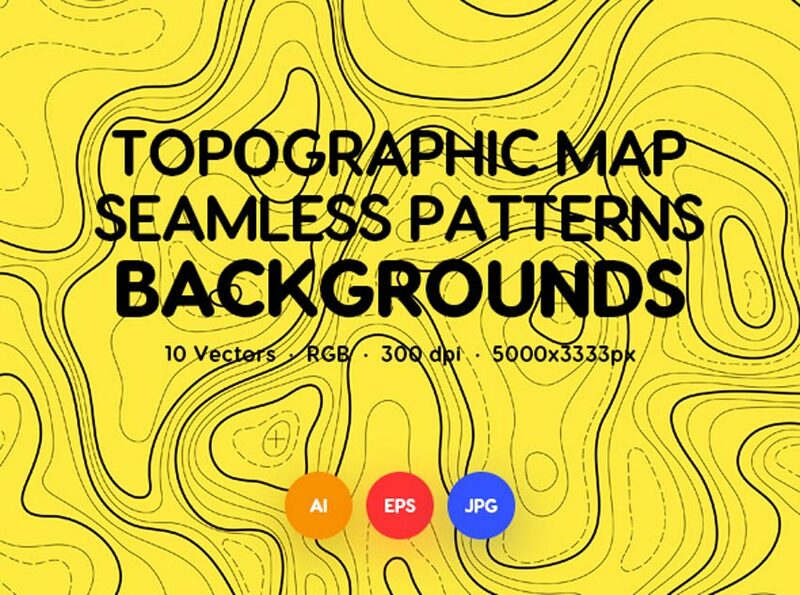 Giving your work that cool, topographic map look, this seamless pattern set comes in AI, EPS, and JPEG formats. 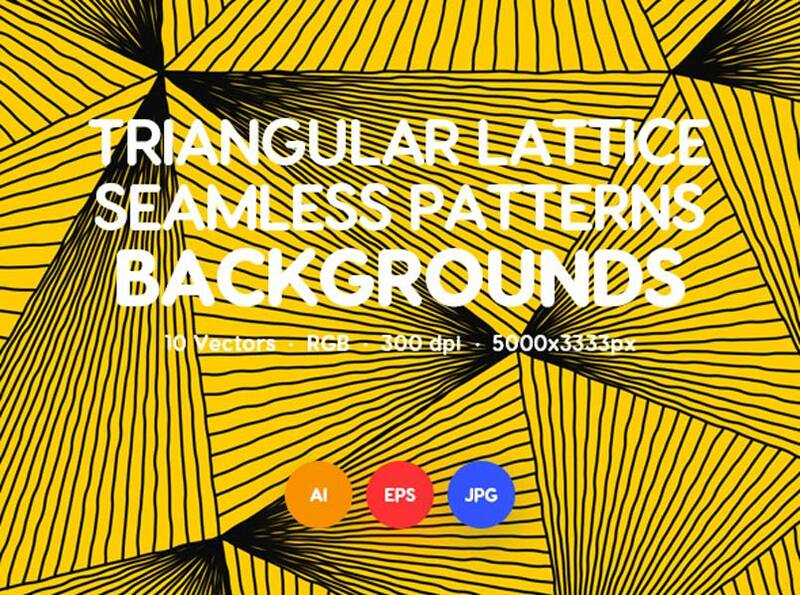 Add that special flair to your designs with topographic lines. 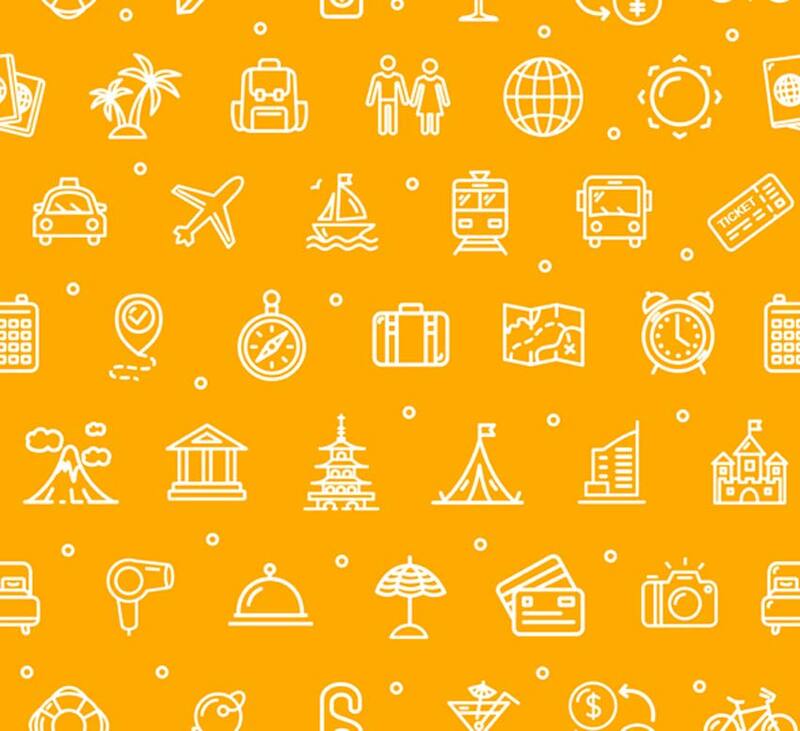 Update your travel and tourism websites with a pretty, bright pattern. This colorful thin line pattern comes in two pretty styles, yellow and white with blue accents. 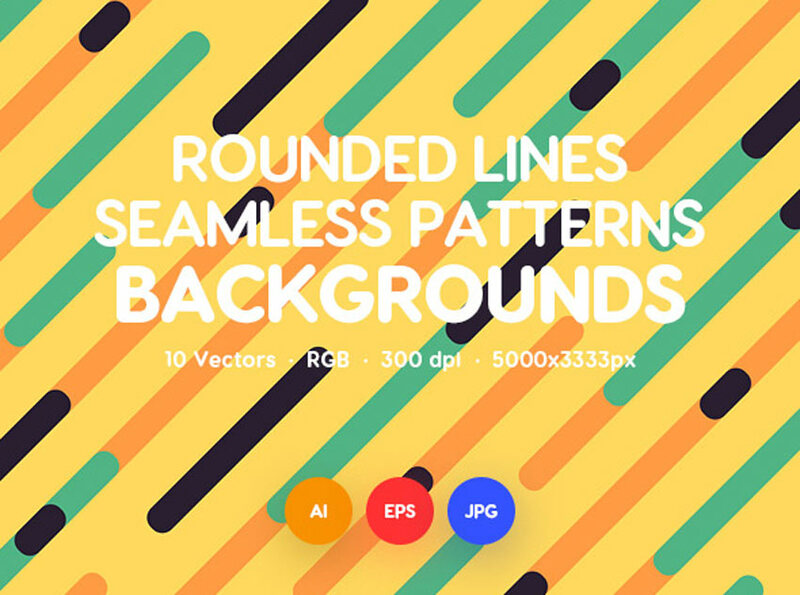 It’s fully editable as a vector file, so you’ll also be able to scale it to any size. Just visit the link to see the alternate! 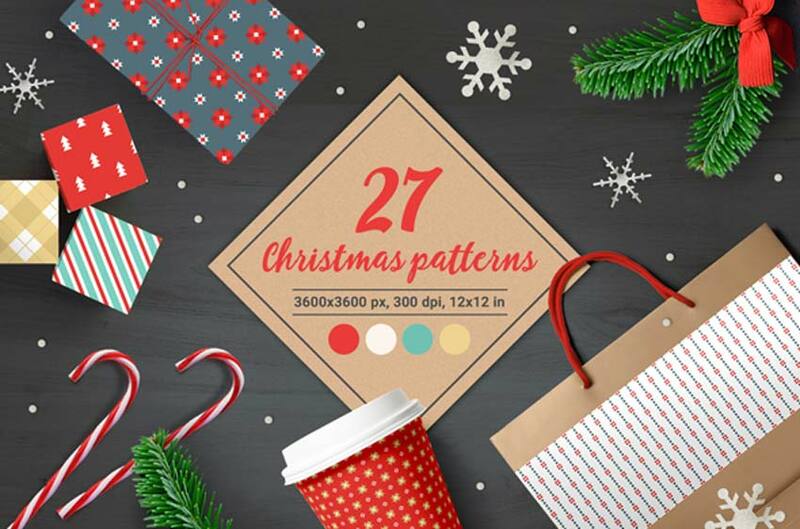 Christmas patterns can be used for wrapping paper, decorations, and even personal projects. 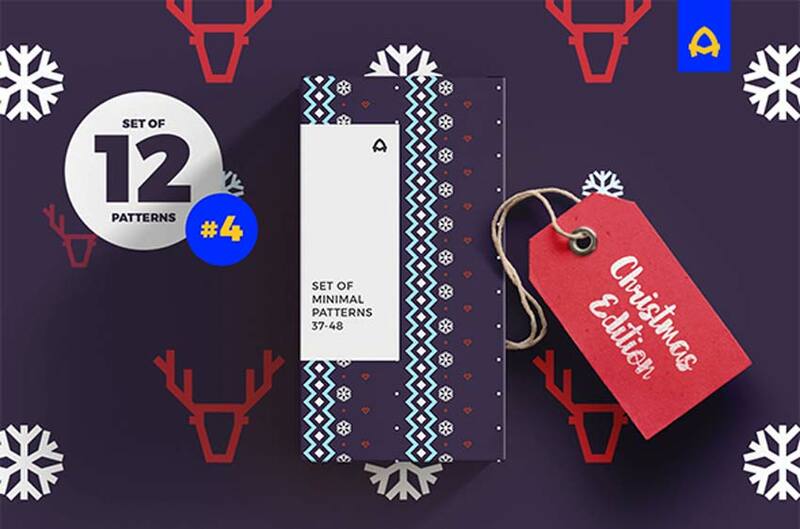 This next pack of 27 Christmas patterns features fun designs like abstract flowers, Christmas ornaments, and trees. 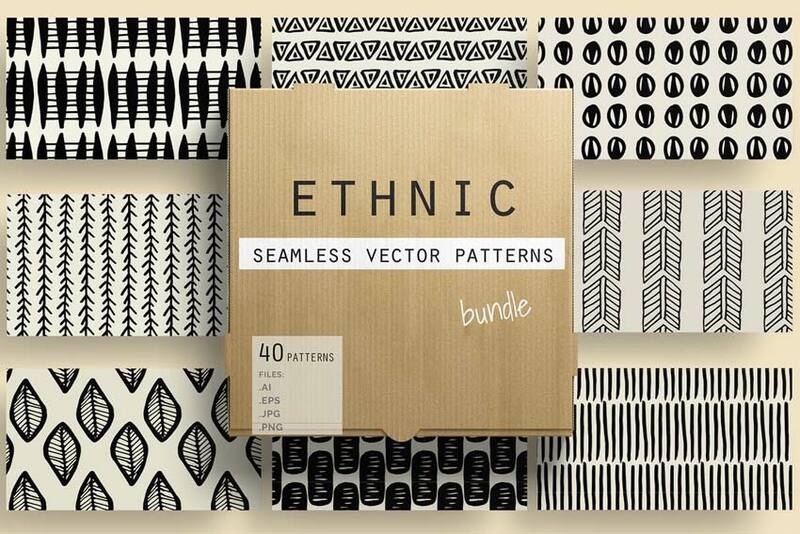 Create that festive holiday look you’ll love with this wonderful pack. No matter the season, floral designs are always a trending look. 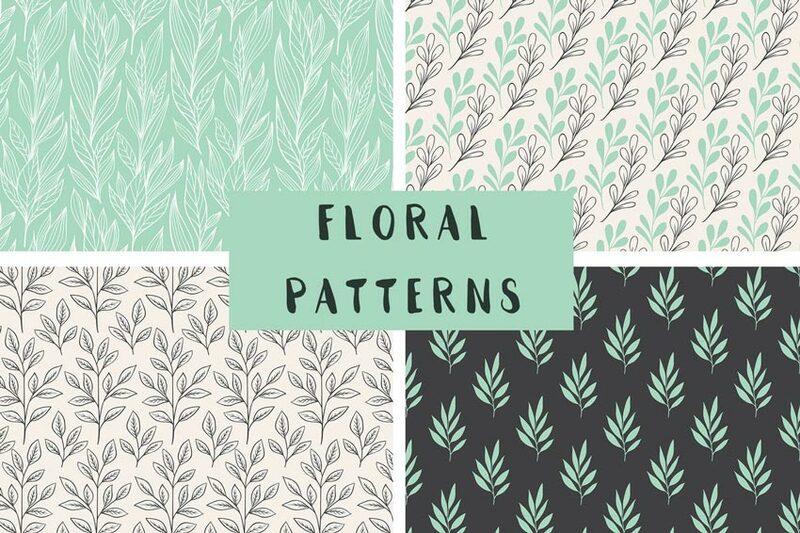 That’s why you’ll definitely want to add this next set of floral, seamless line patterns to your design arsenal. 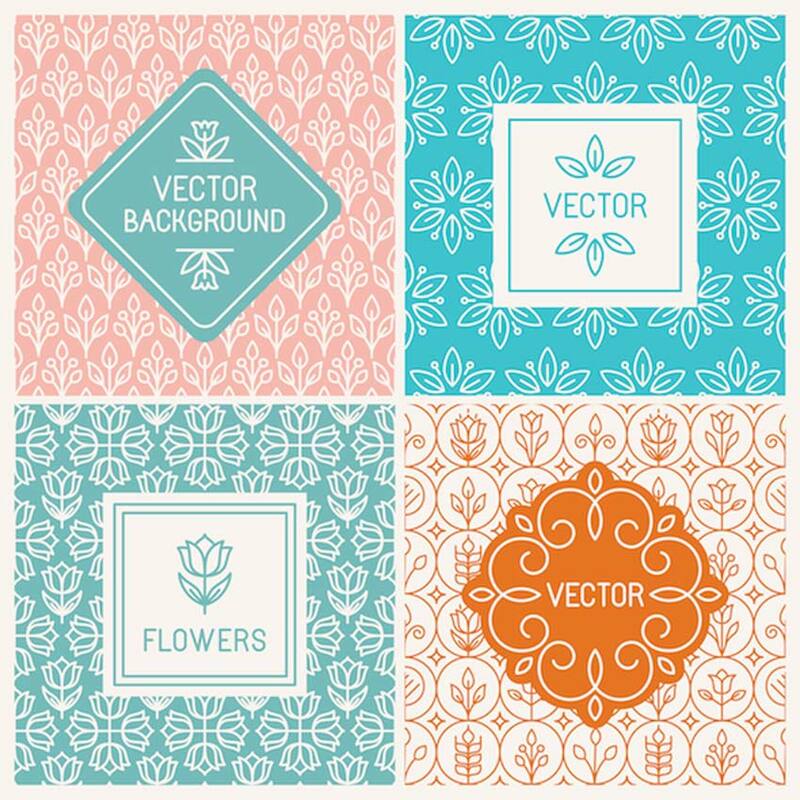 Get four creative vector floral patterns that are supported by Adobe Illustrator versions 10 and up. Great designers know the power of keeping things simple. 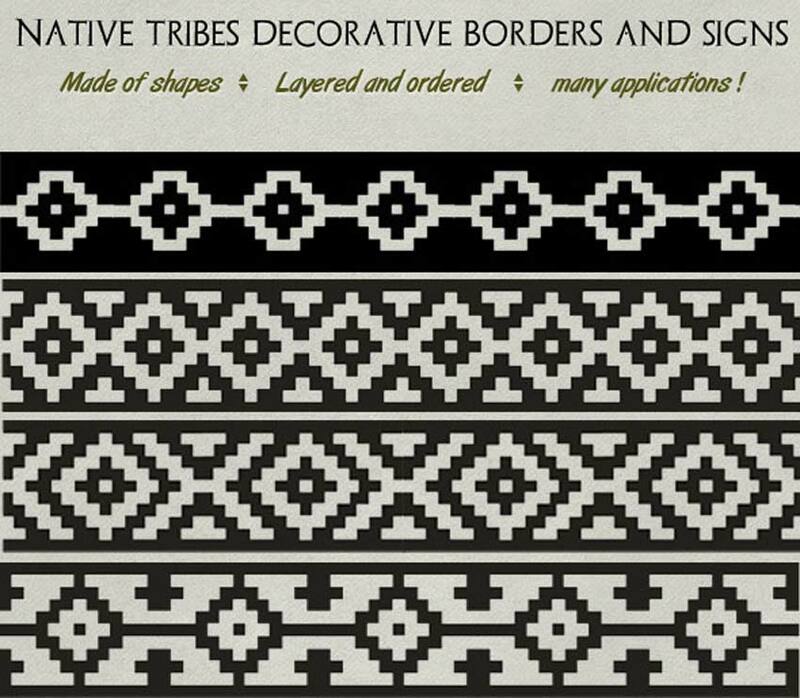 That’s why we’re sure you’ll love this next set of line patterns. 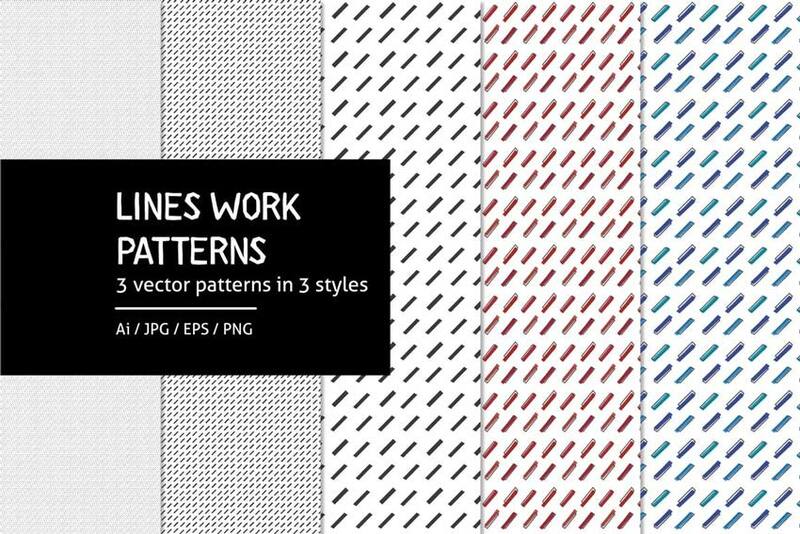 Featuring three vector patterns in three cool styles, this pack is great for business cards, backgrounds and more. 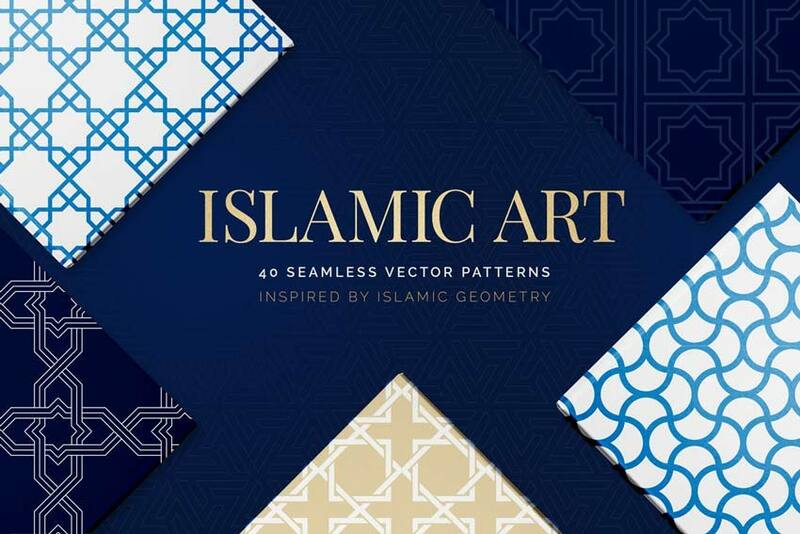 You can also use it with a variety of design programs! 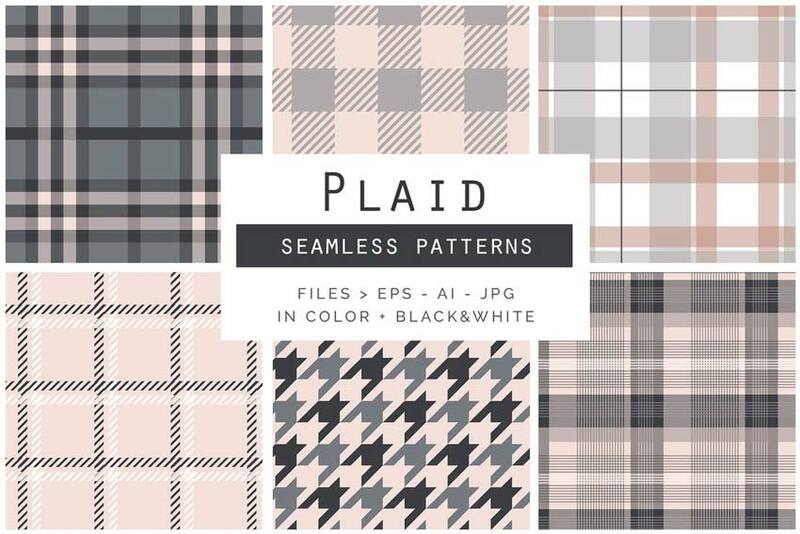 Whether you love to wear plaid or just design with it, you’ll definitely like this next pack of seemliness line patterns. 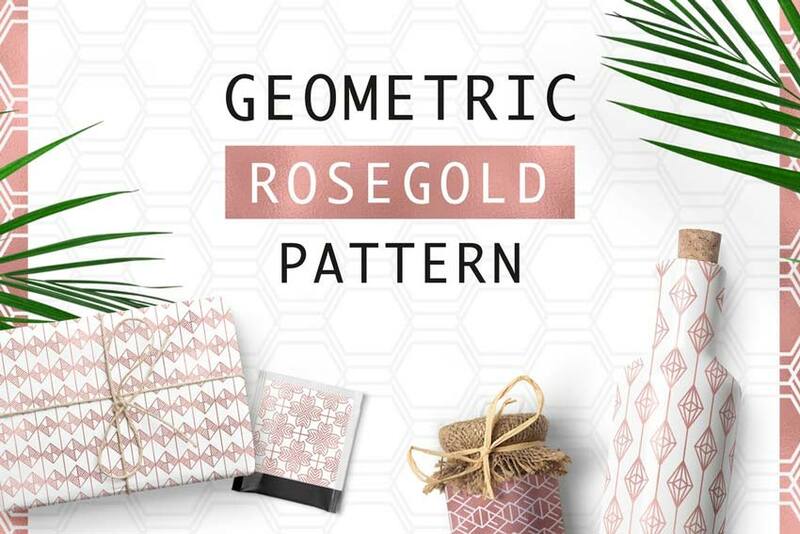 These plaid designs feature an inspiring rose gold look that can apply to many pretty projects. 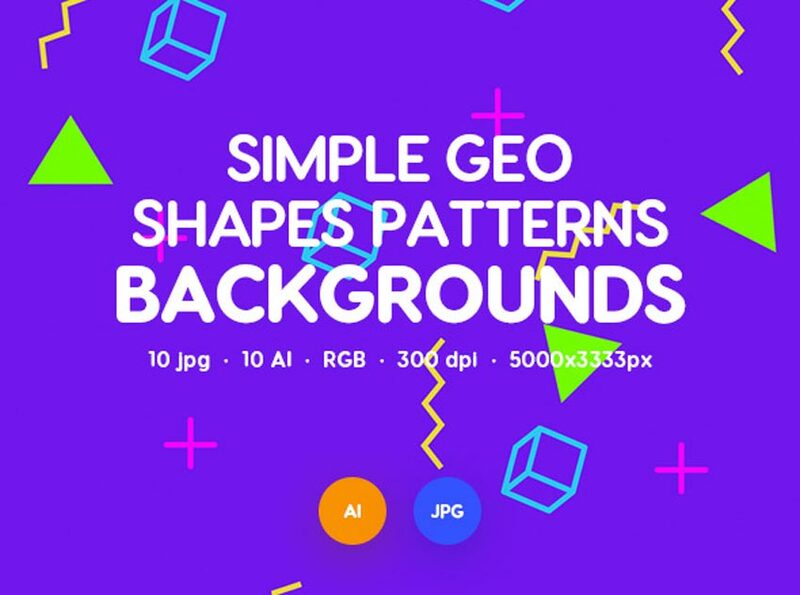 Easily update the colors in Adobe Illustrator. 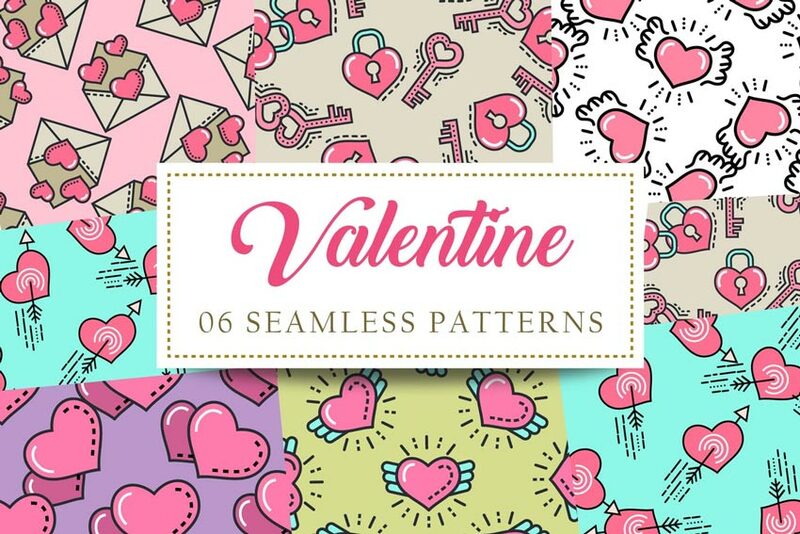 Valentine’s Day is the holiday of love, and this pack of seamless patterns is sure to get you in the mood. 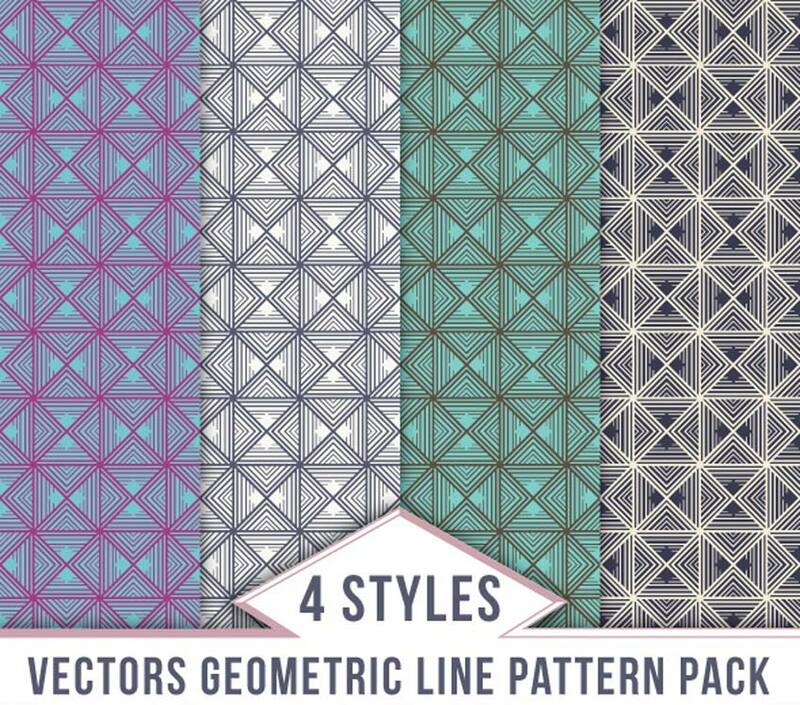 Enjoy this stunning collection of six seamless line patterns with various heart styles. 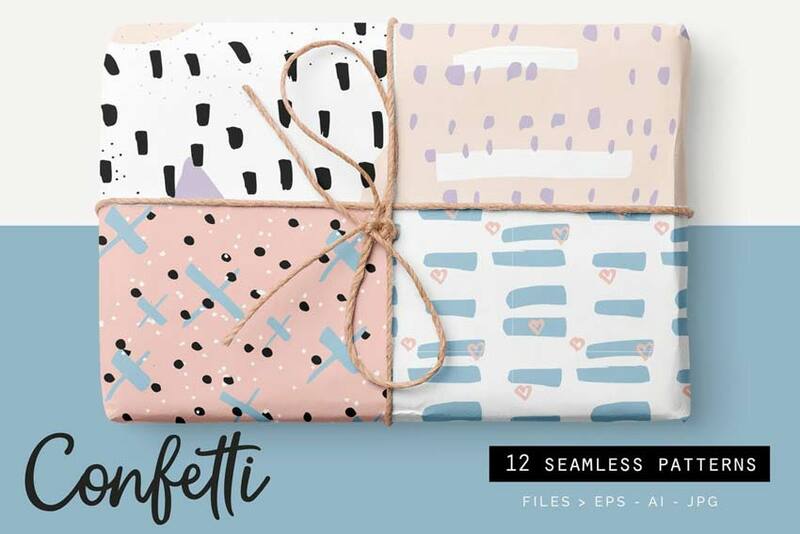 Send sweet cards to your family, friends, and loved ones with this pretty set.